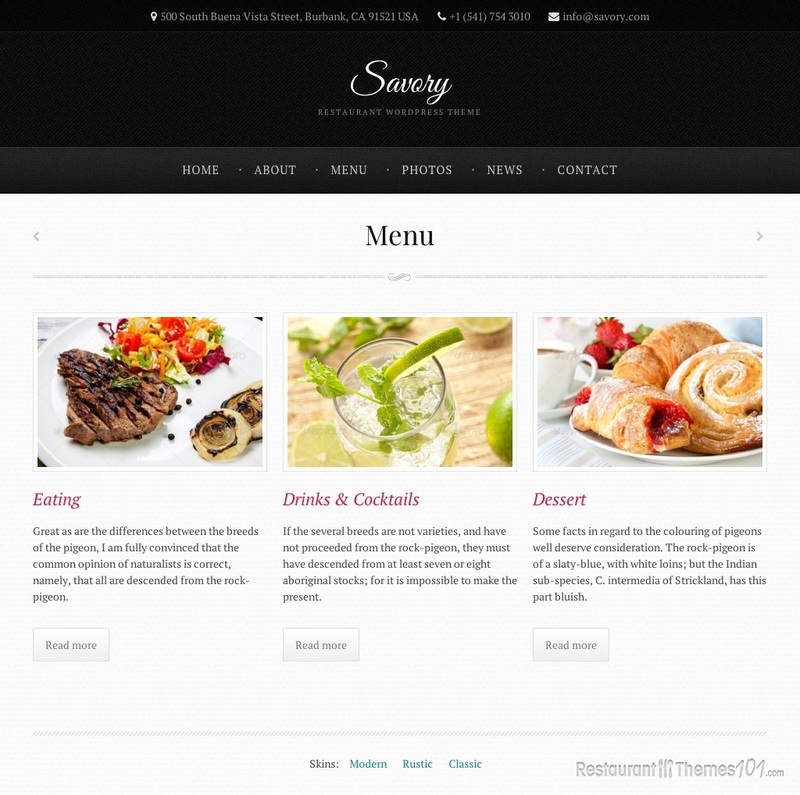 Savory is a responsive WordPress restaurant theme created by Rubiqube, and featured at ThemeForest. It is a clean and simple theme and it contains many useful features. 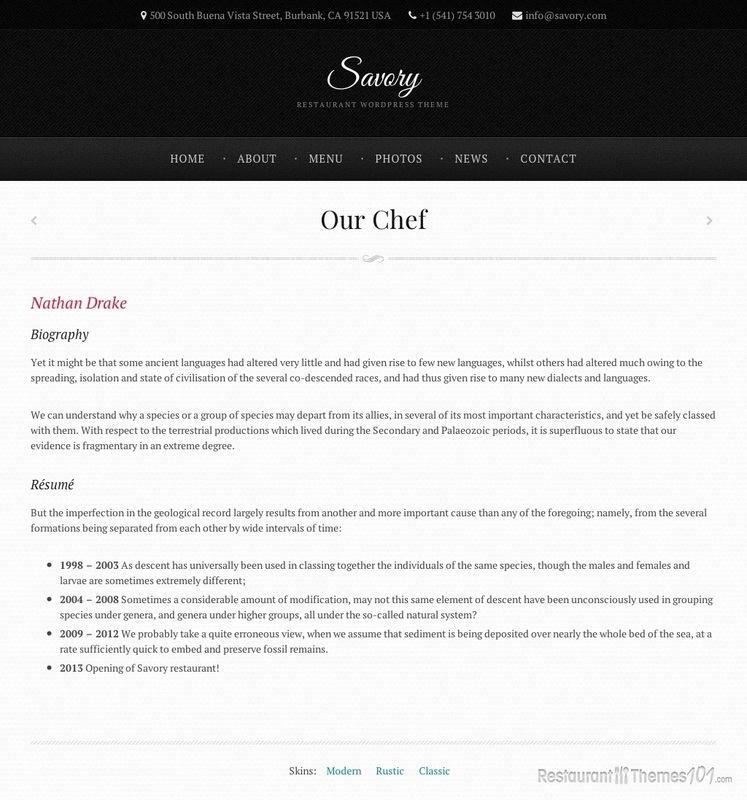 With a light, pleasant minimalistic layout and carefully chosen options, Savory makes a very attractive and functional theme. It’s simple design will put your content in the spotlight and it will be very pleasant for the visitor’s eye. You will be able to place a nice welcoming note right under the homepage menu, and give your visitors a glimpse of the cozy restaurant you run. The whole theme pays attention to keeping things simple and focusing the visitor’s attention on your services. 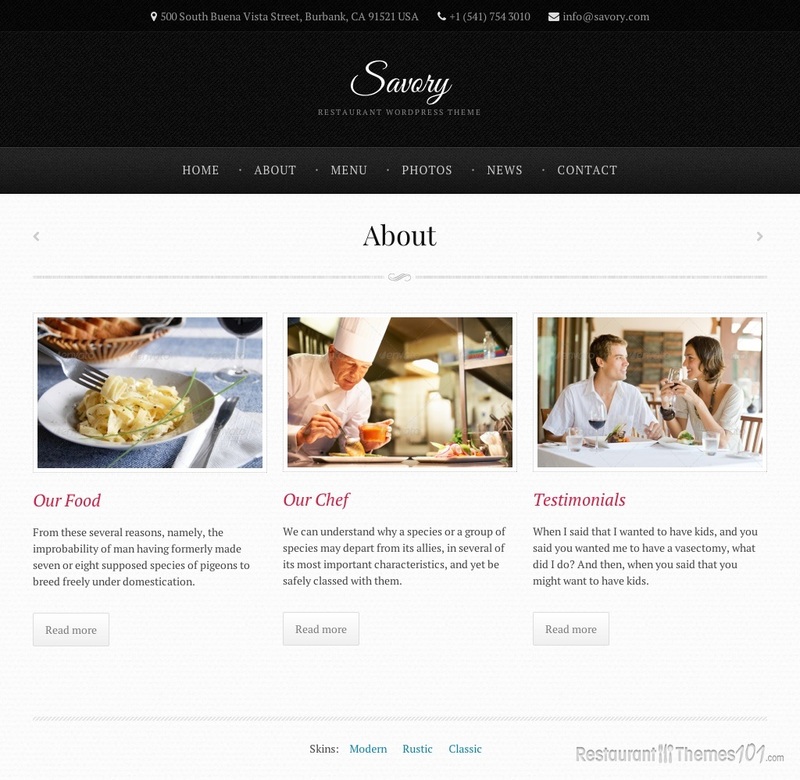 Savory can be used as a responsive WordPress coffee shop theme, or as a theme for any other restaurant niche. It comes with 3 unique skins you can choose from: modern, rustic and classic, and you can add your own logo and choose your own colors. You will be able to feature a nice amount of content on the homepage, such as your recent posts, or your special servings. 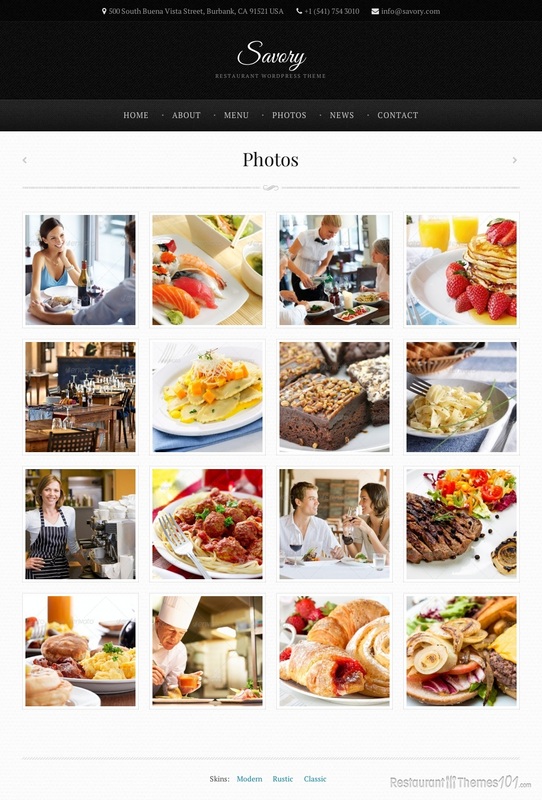 Feature these posts with resized photos and focus your visitor’s attention on things that matter the most. Your working hours will also be displayed, so everyone knows when the best time to visit your restaurant is. A nice contact form provides you with the possibility of super easy and quick interaction with your visitors. 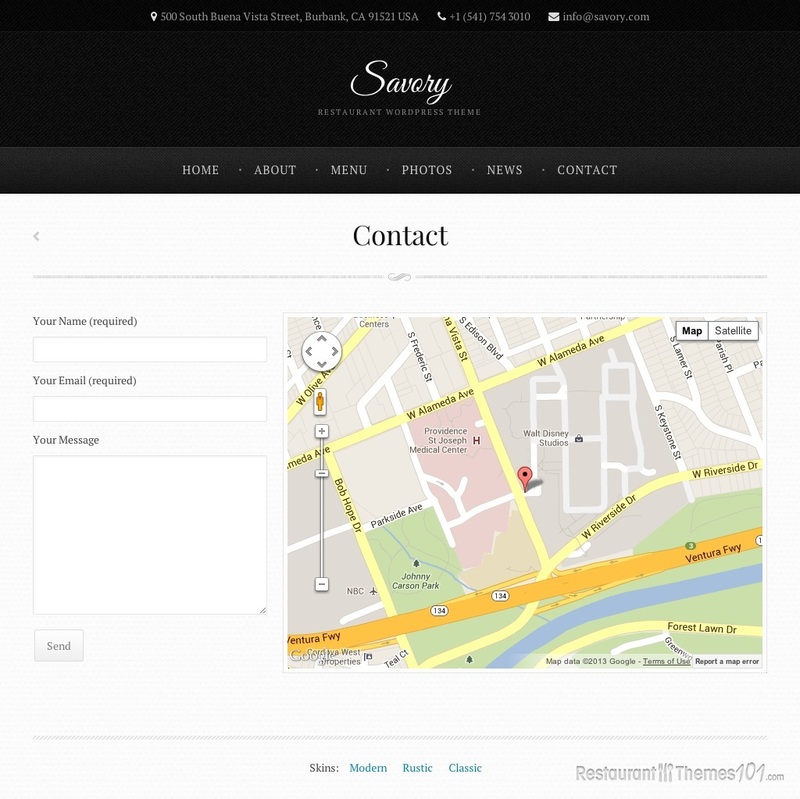 Savory features Google Maps, and you will have a map with exact directions to your restaurant placed right there on your website. The menus can be created very easily because this theme comes with the Retail Menu Cards plugin included, which will allow you to create your own unique menu that looks fabulous. 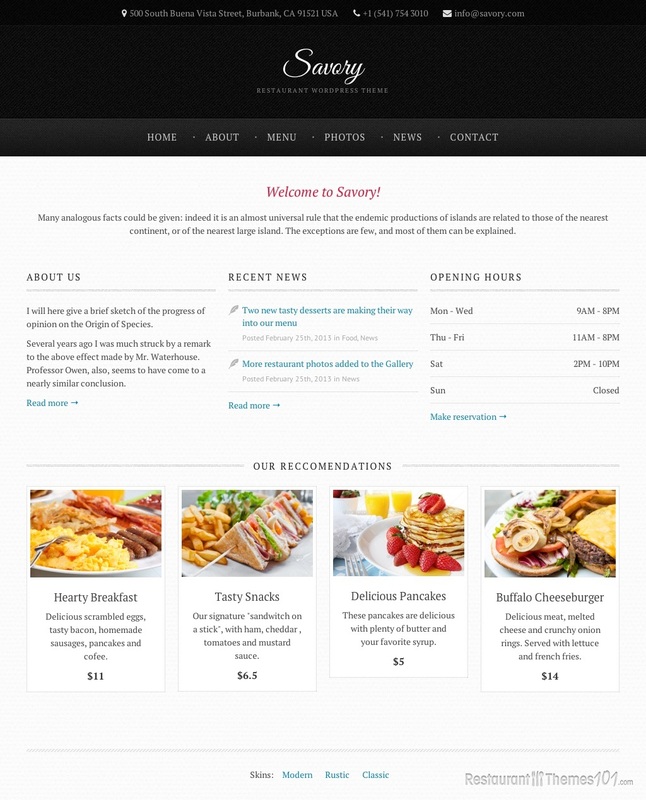 Savory is completely responsive, the whole layout will automatically adapt to any screen size or resolution and your website will look perfect no matter what device it is viewed from.